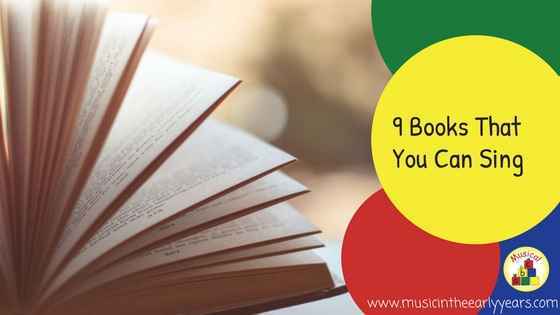 There are many books that you can add some singing to, whether that be a word, a phrase or the whole book. I've added affiliate links to Amazon for your convenience; just click on the image of the book. Here is a breakdown of how I approach the story Monkey Puzzle by Julia Donaldson and Axel Scheffler. This was one of my children’s favourite books when they were young! What musical elements can we focus on that will bring the story to life? Call response (question and answer): the dialogue with the main two characters. Crescendo: no, No, NO! (small font going bigger) getting louder with each one: creating a crescendo! In the book Peepo, you could encourage the children to sing the word Peepo with two notes. Two note singing is a great way to develop tuneful singing. Something that I discuss on my Magical Music Time training.